Skipton Castle is one of the emblematic medieval castles in England. With nearly ten centuries of history this massive fortress is a beautifully preserved specimen of a British military architecture. Skipton Castle and its incredible atmosphere are in the final sections of the eponymous English town situated in North Yorkshire. The castle is located just 10 miles from the city of Haworth. The original fort sector appeared in that part of England in 1090, and was built by order of the Norman - Baron Robert de Romille. The original wooden structure, however, was soon replaced by a stone building, because the raids of the Scots from the North had acknowledge the unstable building. In 1310 Edward II was given ownership of the castle of Robert Clifford, who became Lord Clifford of Skipton - chief guardian of Craven. TheL ord made a number of improvements and strengthened the construction of the fortress. However he died in the Battle of Bannockburn in 1314, when Skipton was almost complete. During the Civil War in England around 1645, a stable and solid construction of Skipton was able to hold more than three years of siege. 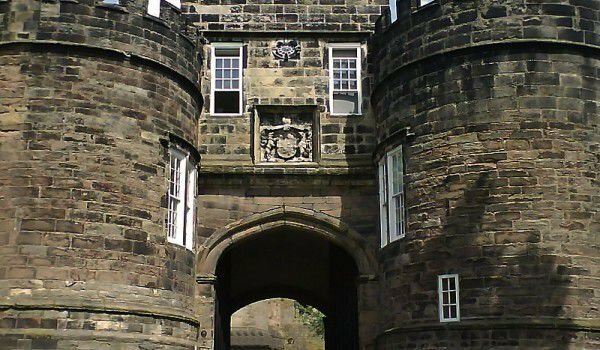 Visitors to the Skipton Castle have the opportunity to examine in detail every corner of this impressive castle which holds a very rich history. The tours of the castle last nearly two hours passing through exhibitions, shows and stories of the guide. You will be able to see the banquet hall, kitchen which is located on the first floor, a bedroom and numerous secret passages and hiding places, scattered throughout Skipton. Do not miss the opportunity to climb from the depths of the dungeon to the top of the main tower. Skipton Castle has a nice shop where you can buy interesting souvenirs related to the history of the castle. After walking around the stone walls of the fortress, you can make your very own picnic in the beautiful courtyards.